Mail4Rosey: Shop and Prep Once. Eat all Week! Prep Dish $4 Trial to Start! Shop and Prep Once. Eat all Week! Prep Dish $4 Trial to Start! Ever go through that meal rut thing? You know, where you're buying the exact same foods every single week and making the exact same dishes over and over again? I know I have...so when I heard about Prep Dish I was very interested. Prep Dish is a meal planning service you receive by e-mail. It's easy to sign up, and when you do, you'll receive weekly an organized grocery list and instructions to help you prep your meals for the week ahead of time. Using this service not only helps you add variety and new recipes to your menu but it also helps you to know what foods are in season, and to utilize them while they are at their peak. The recipes at Prep Dish are healthy (nothing processed! ), and naturally gluten-free. You'll spend about 2-3 hours at the beginning of each week, making food for every day of it thereafter. 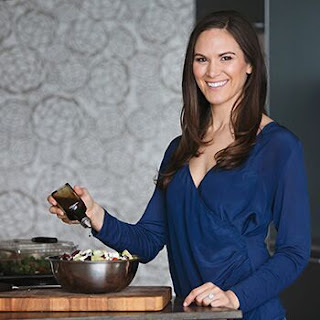 You'll save time, money and have the huge added plus of knowing exactly what (and how much of it) is being put in your foods. 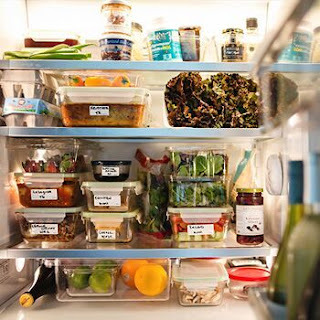 I think we've all heard of the concept of preparing the week's food ahead of time, but the truth is, that can be very difficult to find the time to do. Prep Dish does all the planning for you, and you simply step up and take it from there. They've laid the ground work and made it very easy. Mail4Rosey readers get an exclusive $4 trial. That's right, try the service for just four bucks! What do you have to lose? Prep Dish meals are not toss-together and go either. They are actually chef-created recipes proven to have a high quality of taste. I think the service is great! 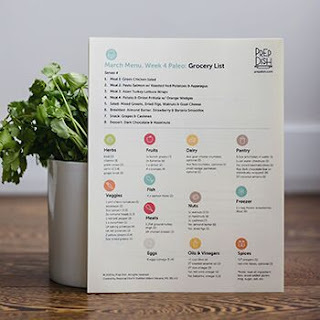 It's a fun way to try new foods, stay efficient and within a budget, cut back on fast food or dining out, and offer your family home-cooked meals they will love (Paleo menus available upon request). Does it sound interesting to you? If so, you can check them out on their website. You can also follow them on Facebook, Twitter, and/or Instagram. haha I eat the same thing day in day out so I always know and ready for the week with ease. I love this idea! I would love to spend just a few hours a week on my food prep knowing the rest of the week would be done with ease. What a fabulous service! This sounds like a great idea and especially for those that don't know how, but would like to know how. Most of us eat way too much processed stuff. This sounds like a great idea. I am really bad about meal planning and I need to be better. Great idea for busy parents. I am so bad at just buying food and not planning and then it going to waste. Oh I need this in my life, I am terrible about planning meals for the week. Oh yea! I am in a rut many times. I can see how helpful this could be! I've definitely fallen into that routine before. It would be nice to have plans laid out so I could try some new things. If I could only be so organized. This may be my solution! I adore this idea! I think it is worth investing your time in preparing food and enjoy more free time. We seem to always be in a rut with the same items.. but at the same time, they seem so picky these days, I hate trying new things and it not being eaten.